Once again Peru and Paraguay have exceeded expectations at the Copa America, managing to finish in the top four for a consecutive time. Four years ago Paraguay went all the way to the final while Peru lost out in their semi-final to eventual winners Uruguay, but won the bronze medal. Peru have another chance to claim third place when they face off against Paraguay in what will be a fiery affair with both teams eager to come away with a medal. Just as they did in 2011, the Peruvians defied the odds and the doubters and reached the semi-finals of the Copa America. If it were not for some dubious refereeing they could have been playing against Argentina in the final. However, the odds were always going to be against them playing against the host nation and they gave a valiant effort to fight until the end in their 2-1 defeat having played the majority of the match with ten men. Drawn alongside heavyweights Brazil and Colombia, Ricardo Gareca's men managed to finish in second spot ahead of the Colombians, which secured a quarter-final date with their Bolivian counterparts. 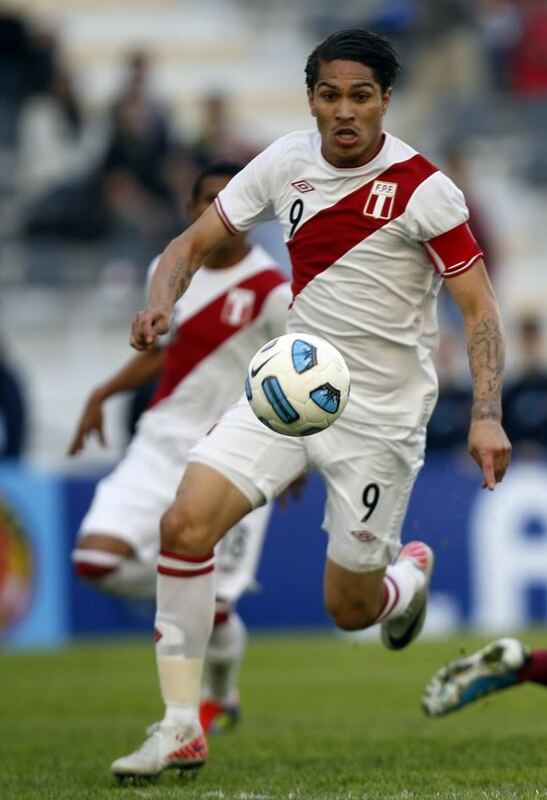 Up until that point, striker Paolo Guerrero, who was the tournament's leading scorer four years ago, had struggled to find the back of the net despite some impressive performances. However, he put that right in the knockout stages by scoring a hat-trick in his side’s 3-1 win over the Bolivians, which sees him just a goal off the tournament’s top scorer, Eduardo Vargas. The former Bayern Munich frontman was crucial in Los Incas’ victory in the 2011 third place play-off when he signed off with a hat-trick to defeat Venezuela 4-1. The 2011 finalists came into this year’s tournament with no-one expecting them to come even close to the semi-finals. Following their great showing in Argentina they struggled to find any good form over the four year gap while also failing to qualify for the 2014 World Cup in Brazil. However, all that was put behind them from their first game of this year’s tournament as they got the show on the road with a great 2-2 draw with Argentina in their first group game. They came from two goals down to earn a valuable point with Nelson Valdez and Lucas Barrios scoring in the second half to cancel out Argentina’s two early goals. After beating Jamaica in their next game they continued to defy expectations by holding Uruguay to a crucial draw to earn second spot in the group ahead of the defending champions. They were drawn against South American giants Brazil in the knockout stages and pulled off a major upset by coming from a goal down to draw 1-1 and proceed to the semi-final via a penalty shootout victory. That earned them another meeting with Lionel Messi and Co. However, this time they fell to a humiliating 6-1 loss which marked their first defeat of the tournament. They will now need to lift themselves and find the form they started the tournament with. Paraguay might have made the top four but an interesting statistic is that they have only managed to win once in ninety minutes, and that was against an unfancied Jamaican side 1-0. Their dreadful performance against Argentina showed some weaknesses and Peru’s dangerous attack should help them prevail at this stage once more. Written by Wayde Dorkin for @Hollywoodbets. Follow them both on Twitter and Facebook now!